There are some tell-tale signs in a race at Abbotsford that you are having a good day or a bad day. 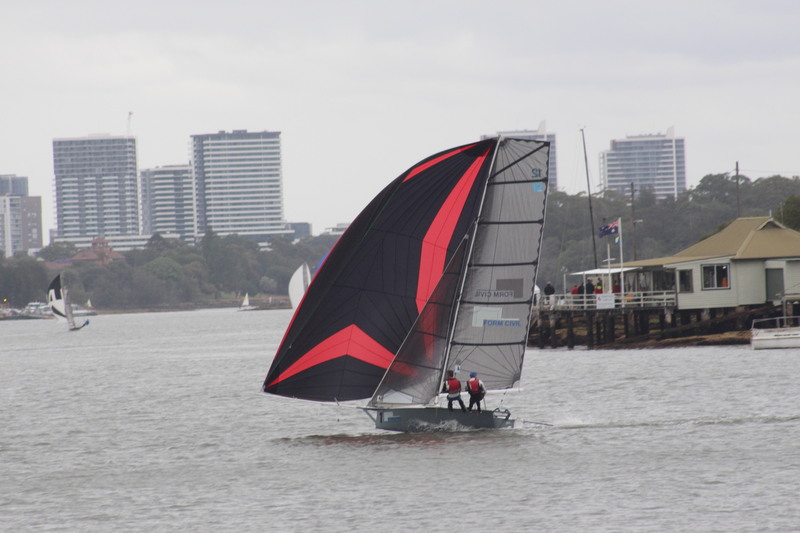 My crew asking “how long have we been racing for?” at the end of the first run was a sign that the breeze we had hoped for was yet to materialise. There were promising signs when we thought 10 knots of Easterly might settle in, but it never really did and the moments of two-stringing were interrupted by technical discussions about whether it’s best for the skipper or crew to be on the wire when you are down to one wire and how far forward in the boat is too far forward. The breeze tried to make things interesting but not good interesting by being awesome all the time – it made it interesting by being random. But this is Abbotsford after all and at least the water was flat, the hospitality was brilliant and the only other boat on the water to cause trouble was the amusing sight of one luxury cruiser having to tow another luxury cruiser slowly down the middle of the course. Even the River Cats seemed to be becoming more polite. The breeze can be frustrating though. 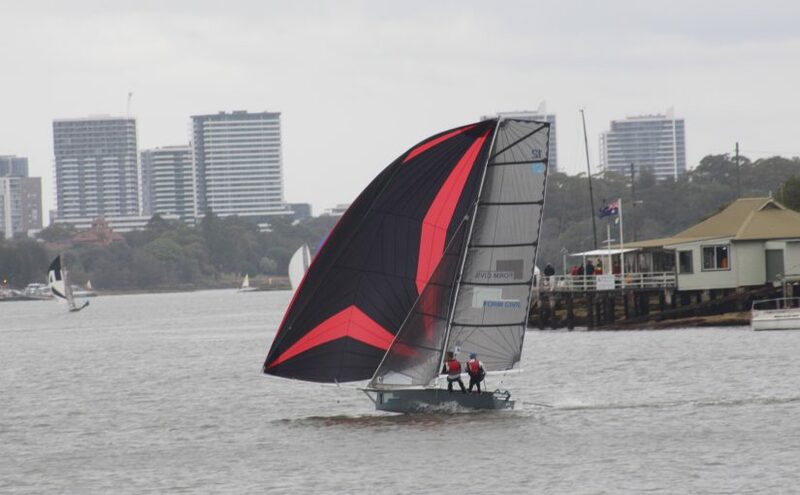 At the time, the fact that you didn’t get the gust that sent the boat in front skimming inches past a couple of moored yachts with the kite rolling, as you sit on the floor of your boat being dragged up, somewhat ironically, towards the old asylum in Gladesville, is maddening. Later though, upstairs in the sailing club, alternating between a can of VB, a bowl of nachos and a chocolate cake, it becomes a reason for some banter and some laughs. 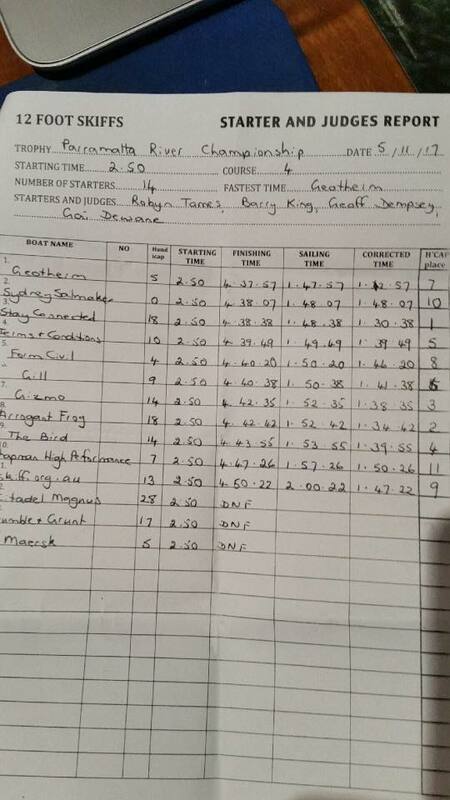 Even each of the 4 or 5 boats that had reasonable leads throughout the race managed a laugh, especially Brett Hobson and Jeremy Jones on Geotherm who managed to establish a lead on the last work home after, at various stages, looking like they were almost out of touch with the leading boats. A short start line made the start interesting, with Stay Connected making the best of it to establish a lead down the first work. 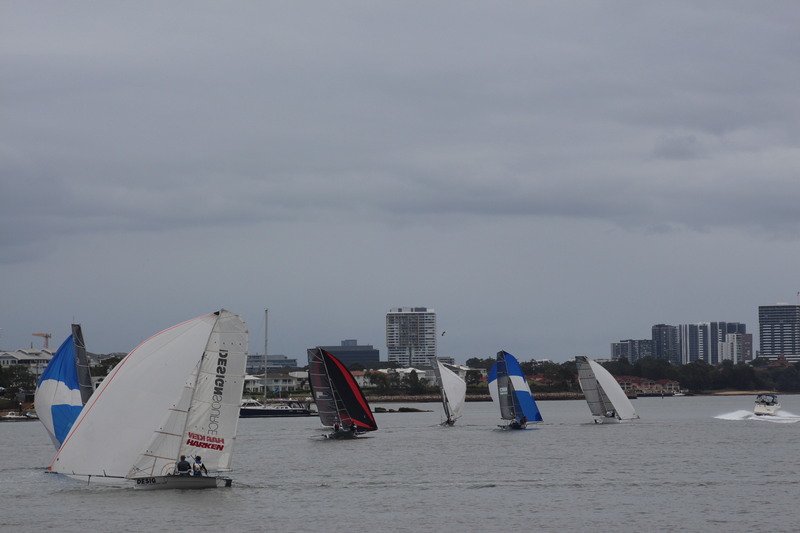 A pack made up of the usual suspects, including Sydney Sailmakers, Form Civil, Geotherm and Terms & Conditions tried to chase them down. 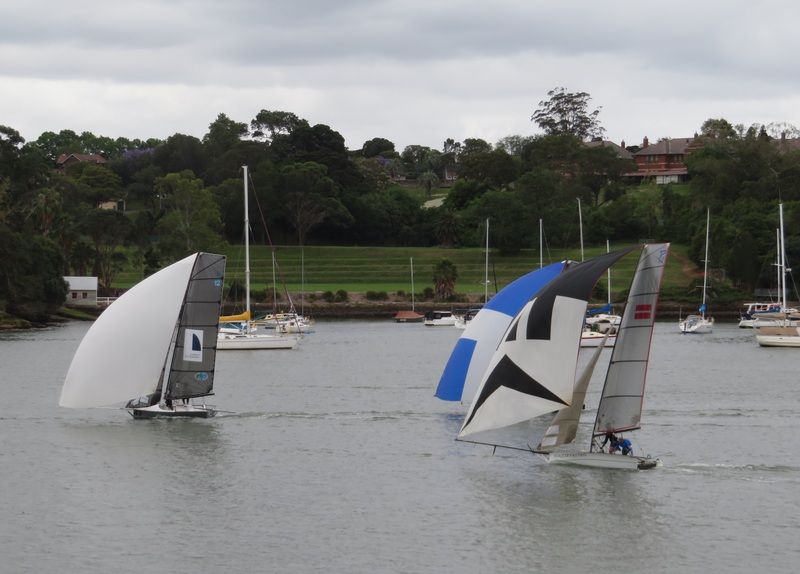 As expected, the runs were a lottery, with the odd gust sending some boats into the moorings off Abbotsford Point and more than a couple of capsizes among even the top boats. Form Civil, with Scott Hobson up front was one of the boats to get a bullet at the wrong time and end up in the tide. 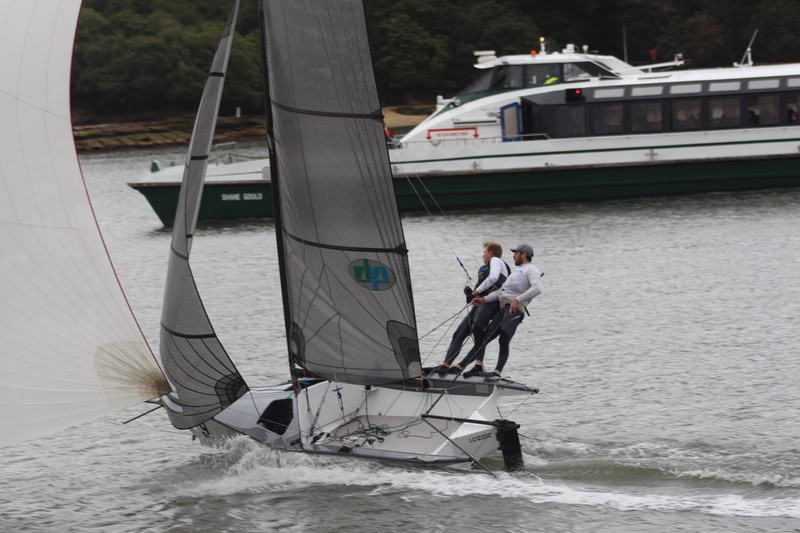 Jakub and Craig in Stay Connected have both done a lot of sailing at Abbotsford and did an amazing job keeping the chasing pack at bay for much of the first 2 legs. 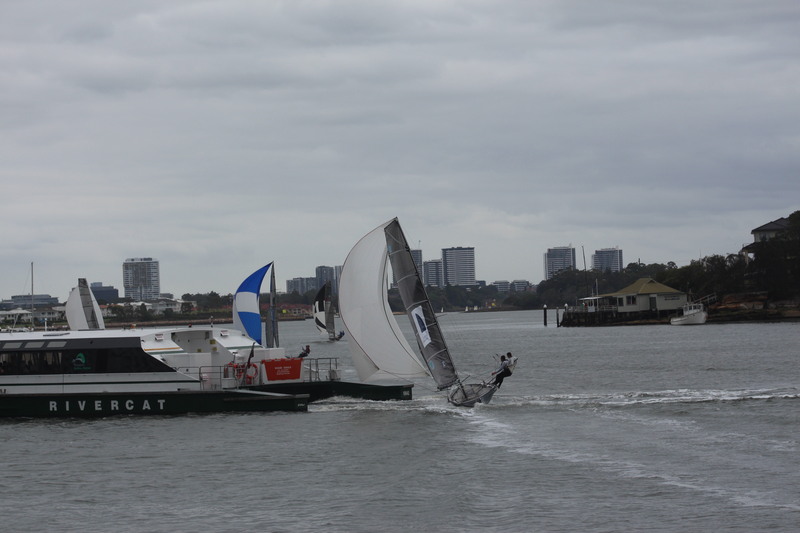 Sydney Sailmakers and Terms & Conditions both had turns at the front as the race closed up on the way down to the bottom mark at Glades, through the notorious toilet bowl section of the course. As the wind is prone to do though, the blue and white kite of Geotherm made its move on the last run and took the lead in the short work up to the finish. 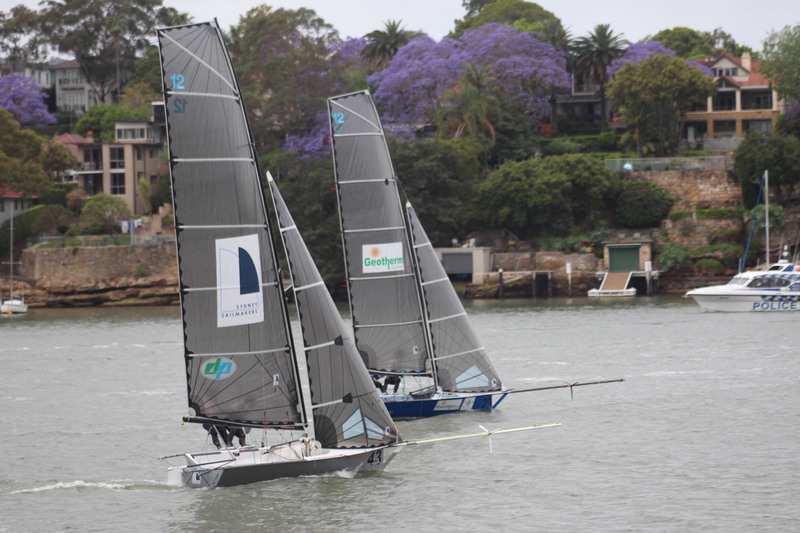 At the end of a race that went almost 2 hours, Geotherm won by 10 seconds from Sydney Sailmakers, with Stay Connected Electrical another 30 seconds back. Special thanks to the Abbotsford club, especially for the generous prizes donated by the Posthill family and the volunteers at the club, with famous 12s and Abbotsford names such as Dempsey and Dewane very much part of the team. This entry was posted in News, Race Reports and tagged Abbotsford on November 6, 2017 by Skiff-Ed.